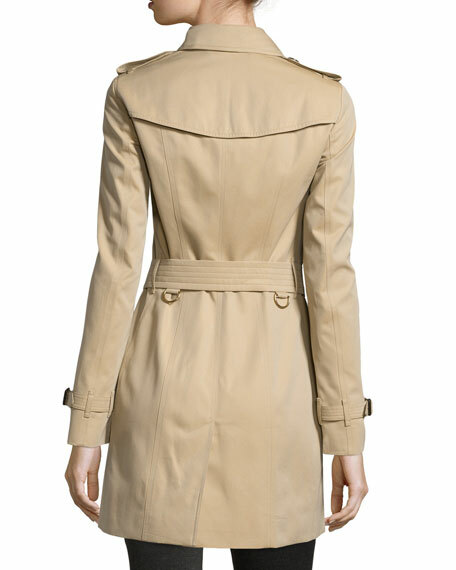 Burberry London "Sandringham" woven mid-length trenchcoat. 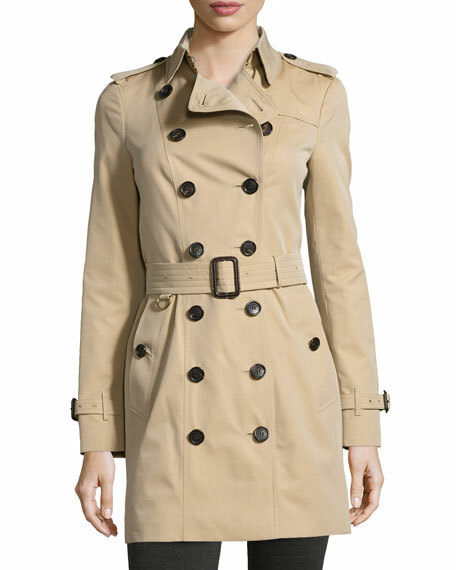 Trench collar with throat latch; double-breasted button front. Long sleeves with tab epaulets. Adjustable self belt may be tied, buckled, or removed. Straight hem with center back vent. Cotton twill; cotton check lining.